If You are going to visit Krakow, You must see Wawel Royal Castle obligatory. It is a Gothic castle, located on the Wawel hill, by the Vistula river. It was build in XIV century at Casimir III the Great behest. Three dynasties of Poland monarchs lived inhere, so the spaces of it’s interiors are filled with priceless furnitures, unique objects of different period of history and many works of art. It is a symbol of a Polish statehood. Now there is a National Cultural Institution and national art museum. 4. Exhibition of Oriental Art. 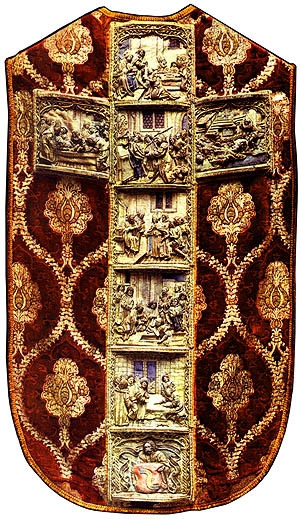 Chasuble with the world’s top masterpieces of Gothic needlework. This is important point of every Old Town – Krakow tours. You can even find in Krakow some kind of Tour, connected with character of Pope John Paul II, like John Paul II Rout Tour. Pope John Paul II Cathedral Museum is a burial site of many Polish Kings and their families, as also greatest national heroes, poets, bishops and even saints. There are eighteen chapels which are architectural masterpieces. Visitors can admire many unique treasures from different centuries which have been amassed over the years. The museum was founded in 1796, by Izabela Czartoryska, but in 1870 collection was moved to Krakow. 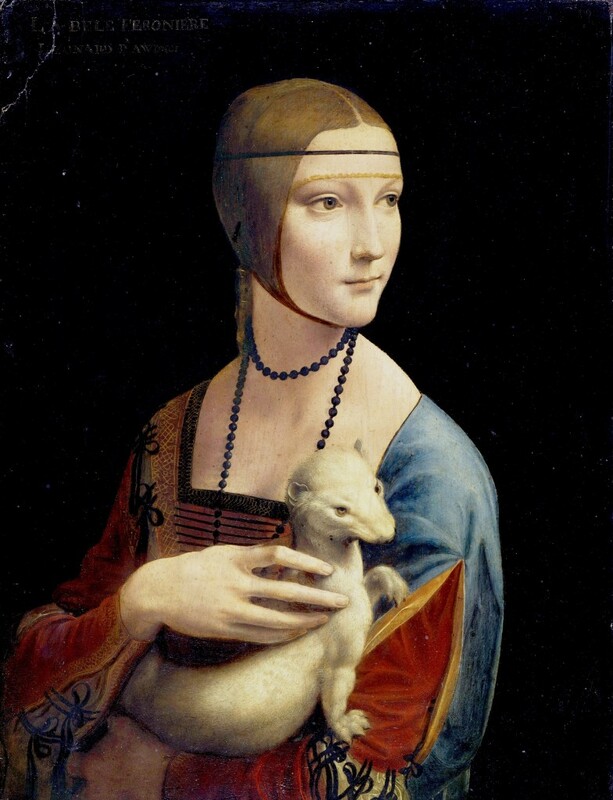 The best-known work of art is The Lady with an ermine by Leonardo da Vinci. There are also works of art of such a great artist like Rembrandt, Luca Giordano, Peter Brueghel the Younger, Dieric Bouts. 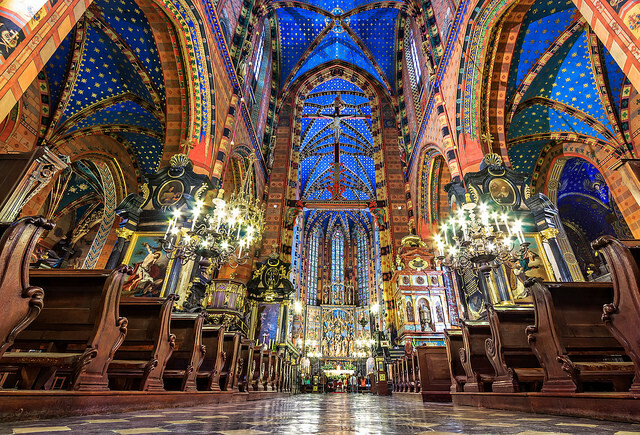 This is the most famous church in Poland. It is a Great Gothic Church, located on the Main Market Square in Krakow. On every hour, trumpeter play Hejnal Mariacki from the taller of basilica’s two towers. The trumpeter breaks of the signal in middle of note, to commemorate a solider from XIII century, who was killed, during alarming before the enemy attack. The visitors have opportunity to admire many excellent work of art, for example Altarpiece of Veit Stoss or wonderful stained glass in the presbytery made by Jan Matejko. 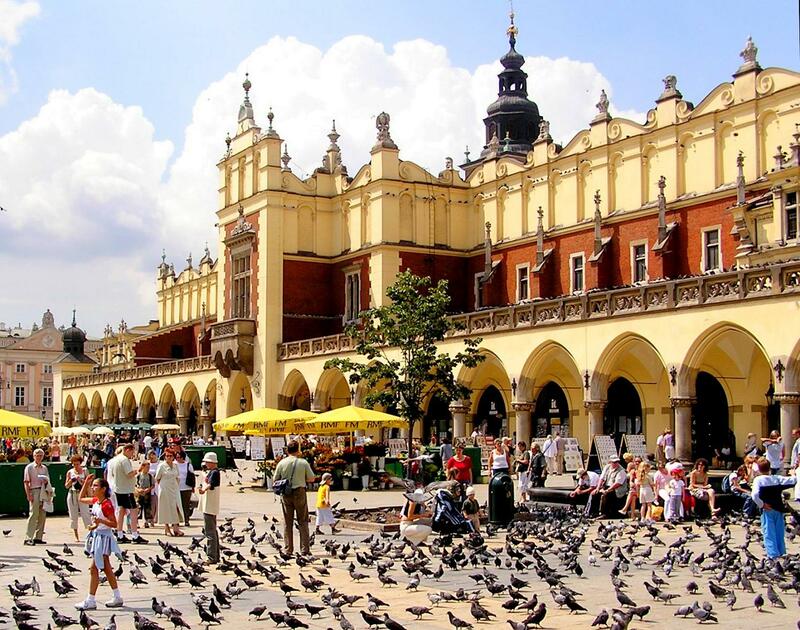 It is the iconic building located in the centre of Main Market Square in the Krakow Old Town. It is the most recognisable building of Krakow and since 1978 Cloth Hall Gallery is listed of UNESCO Heritage Site. It was a vary important place for international trade of 15th century. Nowadays, there is Sukiennice Museum on the upper floor. The legacy of it’s original function are stalls selling handicrafts, souvenirs and jewellery. It’s a very popular place, especially for Tourists who want to find some unique souvenirs from Krakow tour.